Yes, I know this isn’t a tech blog; I get it. 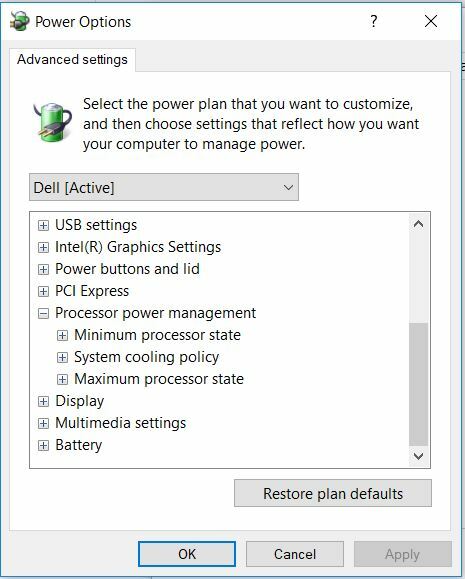 However, in order to be able to function normally again, I recently had to solve a nagging issue with my new Dell Inspiron 13-5378 laptop running Windows 10. My laptop began overheating and shutting down (coincidentally, just after a BIOS update); not a good thing when you use your laptop for business presentations, as I do. The reason I’m posting the solution to this problem on my leadership and management blog is because I discovered it on my own. 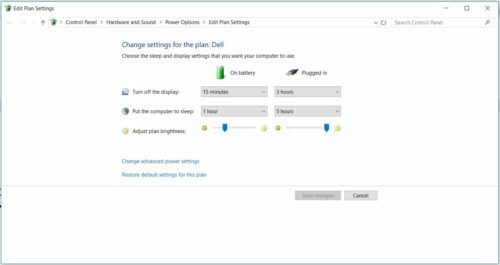 As far as I can tell, there are no other resources online showing this solution; so, thought I should share it with anyone else who’s tried virtually everything to get their new Dell laptop to stop shutting down on its own. The laptop was relatively new – roughly three months old – and the fan (during the first three months of use) ran almost constantly. This was annoying, but not tragic, as the laptop performed well. Then, I accepted a Dell Update about three weeks ago and everything changed. The fan was no longer running as much as it was before. This was great until… the laptop shut down! I’ll save you the details about every step I followed in an attempt to fix this issue, and just give you some quick bullet points that did not work. Running fewer programs concurrently. Just running more than one tab in Chrome was often shutting it down. Running on battery power when possible. This was a temporary fix that allowed me to make a couple of presentations uninterrupted. However, this could never be a permanent solution for obvious reasons. Cleaning dust from the fan and the vents. This didn’t work, because there was no dust – this was a new laptop. Reversing the BIOS update. I was able to revert to the previous version – which is scary, since the laptop could’ve shut down during the update. Had that happened, the laptop would’ve likely needed to be rebooted from scratch with none of my programs, files or settings remaining. About 20 other things. I truly cannot recall everything I tried that failed; but, for me, there was one thing that finally worked. This shows that since last starting HWMonitor (about 30 minutes ago), the minimum temperature for Core #1 (whatever that is) was 44° Celsius, the maximum temperature over that time was 71° and the current temp is 49°. This is great news, because my laptop was showing 100° (after the BIOS upgrade) as the maximum temperature; and would shut down when the current temps hovered around there for more than a few seconds. After a quick restart (not sure if I needed to or not), my laptop was running perfectly. It’s been a week and my Dell Inspiron has never once overheated or shut down on its own; and the fan rarely runs! 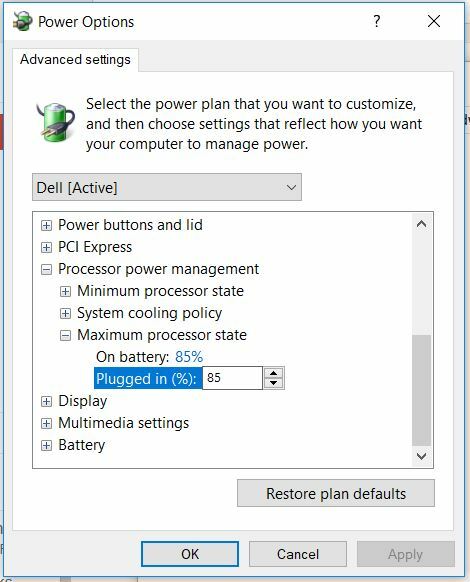 Oh, and I haven’t noticed any issues with speed – though I’m sure I caused something to run slower by lowering these settings from 100% to 85%; but, frankly, I’d prefer a laptop that never shuts down on its own to one that runs faster, but crashes constantly. I am hopeful this solution works for you. If you discover a different solution for this problem, please let others know in the comments below. Wow, had the exact same issue, and worked through BIOS updates, and most of the other things mentioned to try. Even bought a laptop cooling fan (flat thing with a bunch of fans in it that you set your laptop on). Nothing worked, very frustrating. Did the change to the maximum processor state, and temps are now down from 90+ (maxing at 100 often) to the 60’s. Only been a few hours now, but this seems to work very well. Too funny. I also bought a cooling platform that now sits on the shelf in my office. You’re welcome. It’s kind of crappy workaround, but until Dell figures it out, it’ll do. My inspirion is still still going strong with no shutdowns. Laptop overheating is a big issue and mostly it is due to laptop fan not working properly. I am facing this problem as my laptop fan is functioning speedy and the speed of laptop is not properly. Please let me know the reason if you have any other problem. By the way, this “solution” will not work for gamers – I get that. What I don’t get is why any self-respecting gamer would be using a Dell Inspiron 13″ laptop!